Reading about the great characters that of the past has many benefits. We profit by them, learn to bypass their failures, gain courage from their strength in times of crucial stress and strain, and more. For Christians, one of the unmistakably great Old Testament characters is Elijah the Tishbite, of the tribe of Naphtali. He has been written about for centuries by many authors. Ravens fed him, God-given power was his to raise a sorrowing widow's boy from death, the idolatrous priests of Baal on Mount Carmel heard the impact of his tremendous challenge, and angels became his ministers. He was only a man-but he was a man of God, and that made all the difference. Enjoy this creative biography of one of the Old Testament's most interesting prophets. 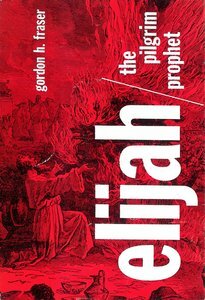 About "Elijah the Pilgrim Prophet"